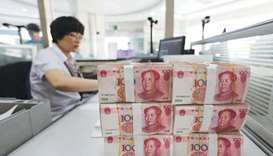 Chinese banks extended more credit than expected in August, buoyed by demand from home buyers and companies, but there are signs that credit growth may have reached a peak as tighter monetary conditions filter into the broader economy. 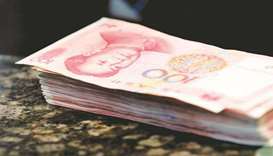 Two years after Chinese policy makers devalued the yuan, an act that torpedoed global markets, traders are starting to view the currency as a sure bet. 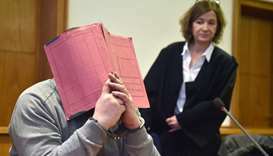 A former German nurse serving a life sentence for murdering patients is suspected of killing 84 further people by injecting them with heart medication, investigators said Monday. 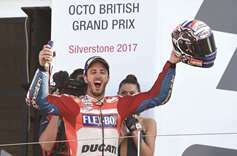 Italy’s Andrea Dovizioso won the British MotoGP at Silverstone yesterday and usurped Marc Marquez atop the riders’ standings after the Spaniard’s race was ended by a mechanical problem. 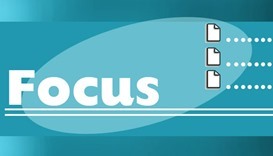 HE the Foreign Minister Sheikh Mohamed bin Abdulrahman al-Thani has received a written message from the Minister of Foreign Affairs and International Co-operation of the Kingdom of Swaziland, Mgwagwa Gamedze, pertaining to bilateral relations and ways of enhancing them. 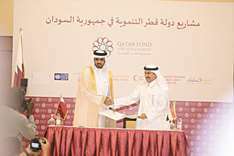 Qatar Fund for Development (QFFD) yesterday held a ceremony to announce the signing of a number of Qatari development projects in Sudan. 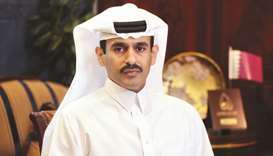 The ongoing blockade has made Qatar stronger, Qatar Petroleum (QP) president and CEO Saad Sherida al-Kaabi has stressed. HE the Prime Minister and Minister of Interior Sheikh Abdullah bin Nasser bin Khalifa al-Thani met yesterday with French ambassador to Qatar Eric Chevallier. 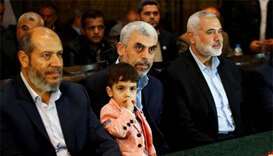 The shipments of Qatari liquefied natural gas (LNG) vessels through the Strait of Hormuz could be unhindered despite the current economic blockade by the siege countries, according to global credit rating agency Moody’s. 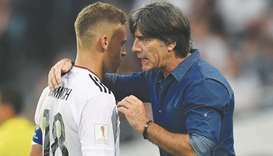 Germany’s Joachim Loew said he is looking forward to facing Mexico on Thursday in the Confederations Cup semi-finals after the world champions pipped Chile to top spot in Group B. 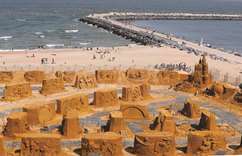 A beach in Belgium has been transformed into a giant sandy gallery, featuring larger-than-life superheroes, cartoon characters and Cinderella’s castle, for one of the world’s biggest sand-sculpture festivals.